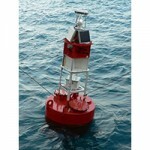 Standard buoy does not include mooring. Steel buoys standard finish: sandblast outside after fabrication, Dimetcote Coasting: 1ne intermediate coat, and 1 vinyl color coat. 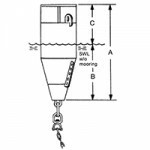 Tension-moored, non-rotating steel buoy for turning basins and channels. 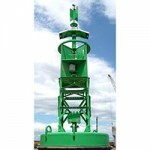 The BL-511 is a standard US Coast Guard steel buoy designed and constructed for maximum visual range in shallow water applications. 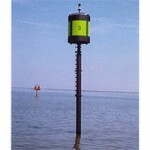 The BL-620 is a standard U. S. Coast Guard steel buoy designed for rivers, estuaries, and moderately exposed open seas. 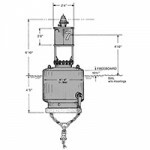 The BL-717 is a standard U. S. Coast Guard steel buoy designed and constructed for maximum visual range in relatively shallow water and applications. 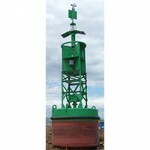 The BL-826 is a standard U. S. Coast Guard steel buoy designed for rivers, estuaries, and heavy duty exposed open seas.